When you are buying a new truck, you might want to consider how much it is going to cost you to insure it. New trucks are always more expensive than cars for insurance. A truck is more difficult to handle than a regular car due to its large size. Trucks are also generally more expensive than the average car, which means that they are more expensive to repair for insurance companies. Put these things together and you are going to have to pay a decent amount of money to get auto insurance for your truck. Due to these reasons, you might be wondering what the cheapest trucks to insure in Canada are. 6 Is It Worth Spending More on a Truck for a Lower Insurance Premium? The Honda Ridgeline has a starting MSRP of $36,790. The truck is available with five different trims including an LX trim, a sports trim, an EX–L trim, as well as a touring trim and a black edition trim. 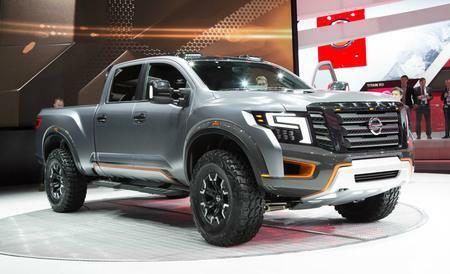 The truck features a 3.5 L V-6 engine capable of being able to tow up to 5000 pounds. The base model LX has heated seats and pristine 18-inch aluminum alloy wheels. The truck is a four-door design and comes in an automatic. One other very cool feature of this truck is that it does have a remote engine start as well as Apple car play/ Android auto built into the console. This Nissan truck has a bit of a higher base MSRP of $37,250. The truck comes with an awesome 5.6 Liter V-8 engine. Like the Honda Ridgeline, this model is a four-door truck. The truck is capable of towing up to 12,000 pounds and it comes in 15 different versions, which are all available for different MSRP’s. The base model unit has an eight-foot box length and comes standard with things like Bluetooth and Nissan connect. The truck is capable of sitting a total of five people and comes with 17-inch steel, silver painted wheels. 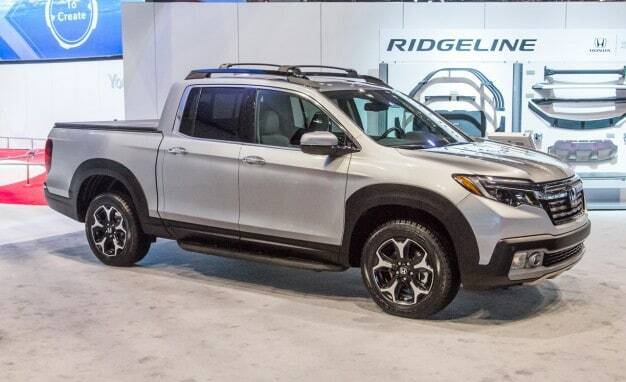 With a total of 390 horsepower and a bit of a higher MSRP than the Honda Ridgeline, it is obvious why this truck ranks number two for having the lowest insurance premium. The Chevrolet Colorado has a very low starting MSRP of just $22,230. However, the truck ranks third in terms of having the lowest car insurance premium. The Chevrolet Colorado is a very popular truck that comes with a 3.6 L V-6 engine and also comes available in a 2.8-liter turbo diesel engine. The truck is capable of being able to tow up to 7700 pounds depending on the model that you get. When you buy a Chevrolet Colorado from Chevrolet, you can also pick up 4G LTE Wi-Fi for your vehicle. With the awesome 16 inch rims that you get in the base model and the available 17 or 18-inch rims, you’re definitely going to like the look of this vehicle as well as the low insurance premiums that come along with it. 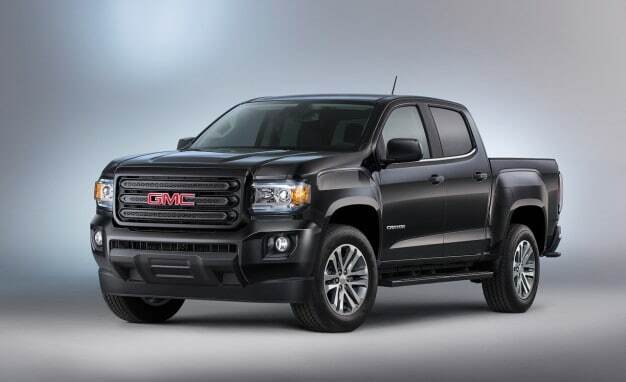 The GMC Canyon is another truck with a very low starting MSRP. The truck has an MSRP of just $23,160. Even the standard version of the canyon has a large entertainment center, USB ports, and a comfortable interior. The base model Canyon comes with a six-speed manual transmission and is capable of doing 200 horsepower with a four-cylinder engine. The truck even has a rear vision camera built into it to help with reversing. The base model Canyon is capable of being able to tow up to 3500 pounds, which is quite impressive for the small four-liter engine inside of the truck. Should you want to get an upgraded version of the canyon, you can even add built-in Wi-Fi. The Chevrolet Silverado has a pretty low starting MSRP of $27,785. With this low MSRP, you get a standard 4.3 L V-6 engine in your truck. The Silverado is capable of towing up to 6500 pounds with the V-6 engine. The truck comes with an automatic transmission and has 17 inch painted steel wheels in its design. One other nice thing about the Silverado is that it has a full-size spare wheel in case you blow a tire. The interior of the truck is actually pretty nice as well. Inside of the truck, you will find a 4.2-inch screen and things like USB ports for your convenience. This three-person, two-door, design offers a nice ride and for the size of the engine, a low insurance premium. Is It Worth Spending More on a Truck for a Lower Insurance Premium? You will see a large increase in your insurance premium once you start to get into trucks with larger engines and more horsepower. Usually, when you can drive faster in the vehicle, you are going to pay more for your insurance. It definitely isn’t always worth spending more on a truck for a lower insurance premium. The difference in the price of the truck you are looking at is likely going to be much more than you will ever save on your insurance premium. Trucks are always expensive to insure and it might be worth contacting your insurance company before you purchase a truck. This will allow you to see what you’re going to have to pay in insurance for it so that you can be sure that you can afford it. These trucks offer all offer both a nice ride and low insurance premiums. Although there isn’t a huge difference in premiums between these vehicles, you will benefit from roughly $50 a year in savings by choosing one of the top trucks on the list. Insurance costs aren’t everything and if you really like a truck, $50 a year shouldn’t really break the bank. Whenever you get insurance for a truck, you should always make sure you have proper coverage. Trucks are not cheap to fix and you do not want to pay for collision out-of-pocket. Always remember, you can always contact a variety of insurance companies when looking to set up a new policy. Each company will give you different prices for your truck’s auto insurance and some will likely be better than others. Do You Need Proof Of Insurance To Buy A Car? Can I Have Auto Insurance from Another Province?